Look at that smile on his face. Keith Richards is beaming on the cover of his new album, “Crosseyed Heart,” an ear-to-ear grin that suggests he has won some great battle he expected to lose. Indeed he has. 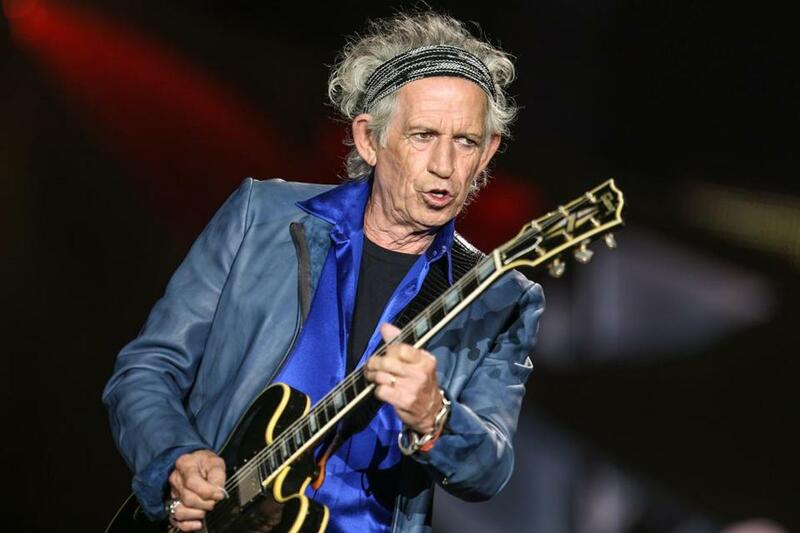 At 71, Richards is the craggy embodiment of the Rolling Stones’ incredible perseverance. One of rock’s true and improbable survivors, he kicked his drug habits, fell out of a coconut tree and landed in the hospital, and once confessed to snorting his father’s ashes mixed with cocaine. The man keeps ticking, somehow. Mick Jagger has kept a comparatively low profile in recent years, but not his sidekick, with whom he has had a long and notoriously strained relationship. Richards laid himself bare in his 2010 memoir, the widely acclaimed “Life.” He frequently turns up in public with his buddy Johnny Depp, not to mention alongside the actor onscreen for a recurring role in the “Pirates of the Caribbean” film franchise. Blowing off some steam after two decades away from a solitary spotlight, Richards has a lot of fun on “Crosseyed Heart.” It opens where his own musical history begins — with a blues song. Not even two minutes long, the title track is loose and primitive, with Richards plucking his acoustic guitar before suddenly cutting it short: “That’s all I got,” he barks. Richards enlisted old friends for the album, including Waddy Wachtel on guitar, Ivan Neville and Spooner Oldham on keys, Larry Campbell on pedal steel, Bobby Keys on sax, and Aaron Neville and LaBelle’s Sarah Dash on backing vocals. Most notably, Richards brought back Steve Jordan, the drummer and producer who worked on Richards’s previous two solo albums and co-wrote many of these new songs with him. Together they keep the production slick but full of exposed edges, letting the inherent grit of Richards’s voice and the gravitas of his experiences tell the story. Richards comes off as fired up and in charge throughout the record, like a man whose singing and playing have been varnished by decades of hard living and harder truths. Richards caroms off the steely, roots-rock textures of “Substantial Damage” and “Amnesia,” while “Love Overdue” simmers to a reggae lilt. He’s nearly unrecognizable on “Goodnight, Irene,” adding a soft tenderness to his shimmery take on the Lead Belly classic. There’s also adult-contemporary radio bait in “Heartstopper” and “Illusion,” a he-said-she-said duet on which he swaps smoldering verses with Norah Jones. And for Stones fans looking for the Richards of “You Got the Silver,” check out “Robbed Blind,” a pastoral portrait of country heartache shot through with his smoky husk of a voice. It’s exactly how you’d expect, and want, a journeyman rocker to sound in his twilight.